Wilderness Rescue: On Nov. 23 at 2:10 p.m., DEC’s Ray Brook Dispatch received a request for assistance for a 21-year-old woman from Philmont with knee and ankle injuries she sustained while hiking Pilot Knob Trail. The Pilot Knob Fire Department and North Queensbury Ambulance Squad were dispatched to the scene while Lt. John Solan sent four Forest Rangers to assist and retrieve the subject. After reaching the hiker, the Forest Rangers placed her injured leg in a splint and began a carry-out back to Pilot Knob Road. At 3:41 p.m., Ranger Evan Donegan reported that the subject was back to the trailhead and en route to a local hospital for medical treatment. Wilderness Search: On Nov. 25 at approximately 6:30 p.m., ECO Bret Canary received a call from a group of hunters in the Wolf Lake State Forest in St. Lawrence County. The group had lost communications with a member of their hunting party. 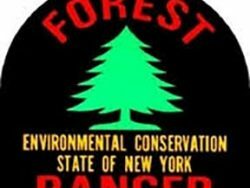 ECO Canary contacted DEC’s Central Dispatch via radio to advise of the lost 50-year-old from Ogdensburg, and requested Forest Ranger assistance for a search. Rangers Nathan Shea and William Benzel responded. At 8:09 p.m., DEC’s Ray Brook Dispatch received radio traffic from Ranger Shea that the subject had re-established contact with his hunting party. Ranger Shea proceeded into the State Forest to locate the lost hunter. The subject was escorted out of the woods by 8:30 p.m. in good health. The hunter had been lost in a beaver swamp without cell service, but eventually found his way back to the trail.